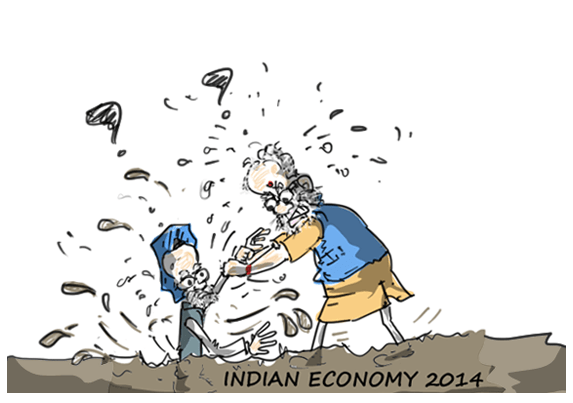 Manmohan Singh resigns.Modi to be the next PM. Constantly weakening economic growth of India is one of the deadliest gift given to the BJP led NDA govt by the whitewashed UPA govt to tackle. Now that India has been ‘Modi’fied..will this ‘Modi’fication work for entire India ? Will Modi be given enough time to bring about change ? Of course, he must be given enough time. People’s mandate has to be respected. i see future with him.. 2023 .. as they predict India will be the Super Power and this man has the intention and the direction and we need to have the same..to make India forget the loss it incurred in 60 plus years of congress regime . What NDA gave in 6 years and 13 days of its previous regime was great and people who travel on highways surely know. Atal ji had a vision .. Modi has a mission !! From no NaMo to pro NaMo ..as I always say about myself .. I know the nation is now in the right leadership .